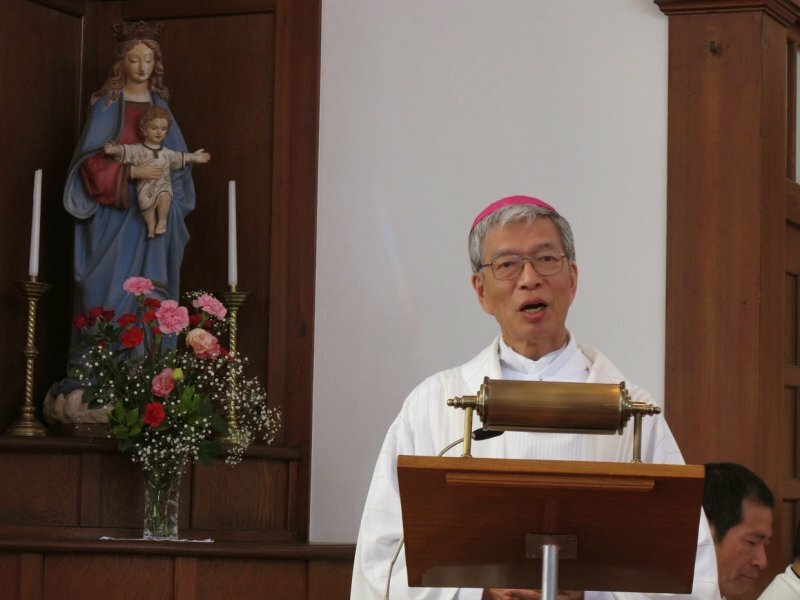 Peter Takeo Okada, Archbishop of Tokyo and president of the Catholic Bishops' Conference of Japan, talks about the meeting between Prime Minister Shinzo Abe and pope Francis. During the talks, Abe invited the Pope in the Asian country: "We are determined to pray and make every effort to make possible a visit of the Pope to Japan". Tokyo (AsiaNews) - It has been reported that Prime Minister Shinzo Abe met with Pope Francis on June 6 and invited the Pope to visit Japan. Pope Francis, a servant of Christ working for peace, guides Catholics as head of the Catholic Church in the world and the sovereign of the Vatican City State. Japan has long valued its diplomatic relations with the Vatican City State, and this invitation can be regarded as a part of that attitude on the part of Japan. Meanwhile, in October 2013, the Catholic Bishops' Conference of Japan sent the Pope a letter requesting the honor of his presence in Japan. However, we have not yet received a letter of acceptance. Today on this occasion, I, as the President of the Catholic Bishops' Conference of Japan, have prepared some brief comments so that those within and outside of the Church can understand why we earnestly desire to invite the Pope to Japan. We truly wish that the Pope would visit the East Japan Great Earthquake disaster area and pray with people there. We desire from the bottom of our hearts that the Pope will listen to the voices of those who are suffering from the Fukushima Daiichi Nuclear Plant Accident that occurred due to the earthquake. We hope that the Pope will join us in praying for divine support and assistance for the decades-long work of reconstruction and coping with the accident. Based on our belief that the nuclear accident was ultimately caused by human arrogance, we have begun a campaign to abolish nuclear power plants. We hope that Pope Francis will bless our efforts and convey this appeal to the world. We Japanese people deeply regret our past conduct that led to the Second World War, and have promulgated the Constitution of Japan, known as the Peace Constitution, under which Japan forever renounces war. Since then we have carried on as a nation which refuses to wage war, and we have contributed to world peace. We are sure that such conduct will be well received by the Pope. As is well known, Japanese citizens who have maintained Article 9 of the Constitution have been nominated as candidates for the Nobel Peace Prize. We sincerely wish that the Pope would encourage and inspire the Japanese people who have such a wonderful Constitution and continue to appeal to the world for the renunciation of war. Moreover, as Saint John Paul II did 33 years ago when he visited Hiroshima and Nagasaki, we fervently hope that Pope Francis will appeal to the world to not repeat the tragedy of war anymore. The Catholic Church in Japan hopes that the beatification of Ukon Takayama, a Christian feudal lord, will be realized in the near future. We would be overjoyed if the Pope could preside at the beatification ceremony in Japan. In addition, on March 17, 2015, we will celebrate the 150th anniversary of the discovery of the Hidden Christians who had kept their faith under severe persecution. Their existence was revealed at Oura Catholic Church in Nagasaki. We would be deeply grateful if Pope Francis would encourage us in deepening our faith and conveying widely the message of faith to others. We also expect that a visit by the Pope would be an occasion for promoting and advancing inter-religious dialogue in Japan. Pope Francis plans to visit South Korea this August, then Sri Lanka and the Philippines next year. If a visit to Japan by the Pope is realized, we believe it will be an especially encouraging opportunity for the many Japanese people who seek peace. It will also be a special occasion for the poor, and those who sorrow and suffer to feel close to the love of God. We, the Japanese bishops, are determined to pray and make every effort to make possible a visit of the Pope to Japan.